Experience the spectacular Punakha Tsechu (Festival), held in the grounds of the magnificent Punakha Dzong. A Tsechu is a Buddhist festival in honor of Guru Rimpoche, the saint who brought Buddhism to Bhutan. Locals gather in a spirit of festivity, celebration and deep faith to witness unique masked dances and celebrations. The Tsechu is one of the best ways to experience the ancient living culture of Bhutan. Also visit sacred sites in Paro, Thimphu, Punakha and view the Black-Necked Cranes in the beautiful Phobjikha Valley. There is also an optional day tour of the beautiful Haa Valley available as part of this tour. Witness the celebration of traditional Bhutanese culture and faith and Punakha Festival (Tsechu), held in the grounds of the magnificent Punakha Dzong. 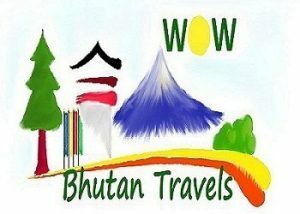 This Bhutan tour also explores all of the highlights of Bhutan’s western valleys, and visits Phobjikha Valley, winter home to the Black-Necked Cranes. Explore the stunning Phobjikha Valley, winter home to the Black-Necked Crane. On your arrival at Paro international Airport, you will be received by your tour guide. After checking into your hotel you have time to relax and have lunch before beginning your discovery of Bhutan. You will visit Ta Dzong. It is a Museum located on the hill behind the Paro Dzong. Open from 9 am to 4 pm every day except Mondays and some national holidays, a visit takes a good hour. Housed in a 17th century watch tower, it has a unique character and beautiful panoramic views over Paro Valley. Later in the afternoon you to will travel to visit the ruined Drukgyel Dzong (fortress of victory), constructed to commemorate the victory over Tibetan invaders in 1644 and destroyed by a butter lamp fire in 1951. The reconstruction of Drukgyel Dzong has begun. On return you will also visit the 7th century Kyichu Lhakhang, one of the oldest temples in Bhutan. Take a day walk to the ‘Tiger’s Nest’, the sacred Taktshang monastery which clings to the rock face 900 metres above the Paro valley floor. The Guru Rinpoche a Buddhist saint is said to have flown to the site riding on a tigress. He subsequently meditated here for three months and subdued the demon residing there. You can have lunch at the Taktshang cafeteria. After lunch you will hike downhill viewing the aesthetic beauty of wide Paro valley. In the evening relax at the hotel. Alternatively, day 2 could be spent on a day trip to the Haa Valley, one of the most picturesque districts in Bhutan. Reached via the beautiful Chelila Pass, Haa Valley is characterised by its surrounding rugged and mountainous terrain. Overnight at your hotel in Paro. Drive over the Dochu-La pass (3,100 meters), which on a clear day offers an incredible view of Himalayan peaks before descending into balmy Punakha valley (about 4 hrs total driving time). The drive through the countryside affords a glimpse of everyday life in this most remote of Himalayan kingdoms. In the Dochu-La area there are vast Rhododendron forests that grow to tree size and bloom in late April/early May covering the mountains in a riot of glorious spring colour. Punakha was the ancient capital of Bhutan. On arrival, drive to Punakha Dzong, the “Palace of Great Happiness” to attend the festival. You will see locals dressed in their finest clothes who have walked from miles around to attend the festivities. They come to watch masked dances, to pray, and to feast. While the underlying purpose of the festival is spiritual, dances are more often like plays, telling stories where good triumphs over evil, or depicting significant historical events, especially surrounding the life of Bhutan’s patron saint, Padmasambhava (also known as Guru Rinpoche). There is inevitably a great deal of socialising as well. Built in 1637 by the Shabdrung, the ‘Unifier of Bhutan’, Punakha Dzong is situated at the confluence of the Mo Chu and Pho Chu (Mother and Father Rivers). It is the winter headquarters of the Je Khenpo and hundreds of monks who move en masse from Thimphu to this warmer location. The three story main temple of the Punakha Dzong is a breathtaking example of traditional architecture with four intricately embossed entrance pillars crafted from cypress and decorated in gold and silver. It was here in 1907 that Bhutan’s first king was crowned. Enjoy a walk to Chimi Lhakhang, temple of the Drukpa Kuenly who is also known as the Divine Madman. He inherited the Divine Madman title since he revolted against the orthodox Buddhism in his time. He taught the people that religion is an inner feeling and it’s not necessary that one should be an ordained monk. He is also considered a symbol of fertility and most childless couples go to his temple for blessing. Afterwards, return to Punakha Dzong to observe the continuing masked dances and rituals that take place as part of the Punakha Festival. Overnight at your hotel in Punakha/ Wangduephodrang. After an early breakfast drive back to Thimphu (5.5 hrs). Afternoon at leisure to explore downtown Thimphu. Overnight at your hotel in Thimphu. Thimphu is the nation’s bustling capital. Enjoy a full day of sightseeing, including a visit to the National Memorial Chorten depicting the Buddhist faith in the form of paintings and statues. This temple was first initiated by the Third King as a protection from the negative elements of modernisation, and as a monument to world peace. The Royal Queen Mother completed it as a memorial stupa for the Third King who passed away in 1972. Continue on to 12th century Changangkha Temple and Drubthob monastery housing the Zilukha Nunnery. If there is time, you may visit the nursing pen for the Takin, the national animal of Bhutan, and Tashichhodzong, ‘the fortress of the glorious religion’. Initially erected in 1641 by Shabdrung Ngawang Namgyal, it was rebuilt in the 1960s during the reign of Bhutan’s third king in the traditional style, without plans or nails. Tashichhodzong houses some ministries, His Majesty’s secretariat, and the central monk body. Continue sightseeing in Thimphu. Visit the School for Arts and Crafts where students are taught the 13 types of Bhutanese art, The National Library housing the collection of Bhutanese scriptures dating back to the 8th century, the Traditional Paper Factory displaying the Bhutanese paper making process, and a fascinating replica of a medieval farmhouse at the Folk Heritage Museum. Other options for the morning include a hike to Tango and Cheri Monasteries (45 mins), two of the most ancient monasteries in the Thimphu region or a hike to Phajoding Monastery providing a splendid view of Thimphu valley. Late afternoon transfer to Paro. Overnight at your hotel in Paro.